Stellenbosch, South Africa’s second-oldest town, is a university town some 50km east of Cape Town. It’s known for its stunning old oak trees, some of them planted in the 17th century, which is why it’s also known as the “Eikestad” (Town of Oaks). The town has an incredible amount of fond memories for me: this is where I attended the University of Stellenbosch between 1973 and 1976, where I met my first wife and our eldest was born, and where I taught English at the prestigious Paul Roos Gymnasium boys’ high school for 24 years. It is a wonderful old town, vibrant, atmospheric, colourful and beautiful. This lovely old building on Ryneveld St was where the Bloemhof Girls’ High School started. Right on the corner of Rynveld and Victoria Sts and in front of the men’s residence Wilgenhof stands this massive old eucalypt. I spent many a pleasant hour sitting on its roots and chatting with friends. The Wilcox Building in my day housed all but two of the departments I was a student of. Afrikaans-Nederlands, English and French lectures and tutorials were all held here, so I spent most of my time either in or in front of this building. General Linguistics and German offered most of their classes in their own buildings. The Old Main Building of the university, directly opposite the Wilcox. The old Music Conservatory on Van Riebeeck St. I used to enjoy walking through the grounds and listening to the music students practising on their instruments. Another favourite building from my students days, but for a different reason! The Van der Stel bottle store on Andringa St was where I bought my wine. The Department of General Linguistics was housed in this former house on Merriman Avenue. I rented a room in this house on De Beer St between 1973 and 1976. The walkway behind the Administration Building wasn’t as shady in my time. The north entrance to the Wilcox Building. Two of the ground-floor windows on the far right belong to the room which housed the Molteno Reading Room, a kind of mini-library and a resource centre for the Dept. of English where I served as supervisor in my third year. The Theological Seminary at the top end of Dorp St is where Dutch Reformed ministers are trained. A beautiful old building, like most of the town’s older structures. Die Laan (The Avenue) runs along the northern bank of the Eerste River, and was where courting student couples used to saunter and spend romantic moments. The entrance to the grounds of the Lanzerac Hotel on the eastern edge of town. The hotel uses most of the original buildings of the farm established here in 1692. It’s also a wine estate bottling some trule great wines. The main building on the estate. And from closer. Note the typical Cape Dutch architecture and the thatched roof. A serene, shady spot for a drink on a warm day. Stellenbosch Mountain as seen from the Lanzerac driveway. The drive is lined with young London planes. 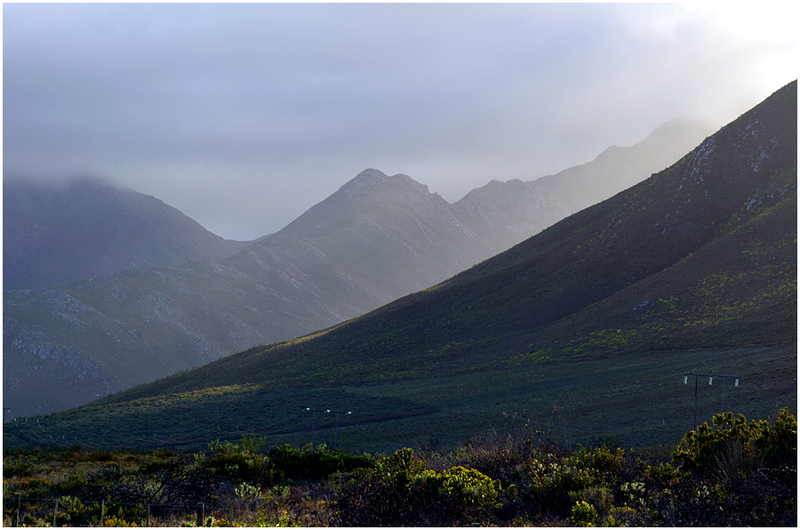 A typical Western Cape scene: mountains and vineyards. 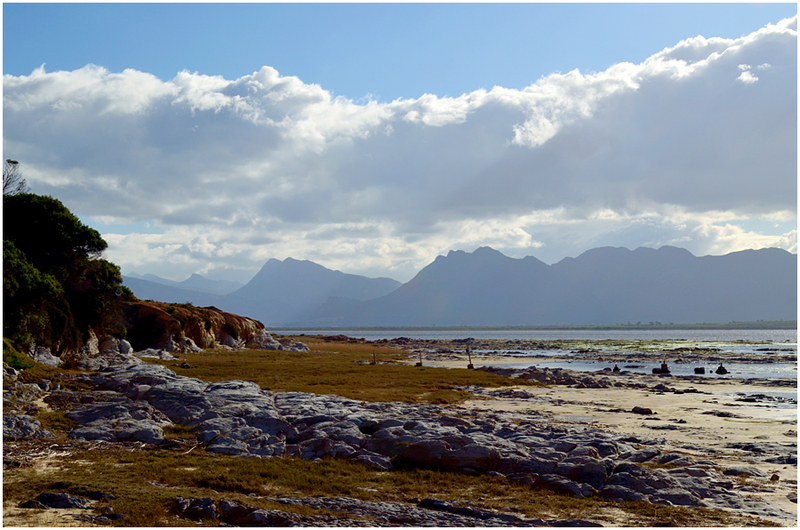 Looking towards the Hottentotots-Holland mountains. The images in this blog were all made during our 2012 visit to the Azores, and are of places in the city and on our walk back from Pópulo to Ponta Delgada. Between the Avenida Dom Infante Henrique and the waters of the harbour: this stretch of restaurants, coffee shops and bars are all part of the improvements and extensions made to the Avenida. The Baptista de Andrade is one of the Portuguese Navy’s eponymous class of corvettes and was stationed at Ponta Delgada during its stint protecting Azorean waters from illegal fishing fleets. This particular vessel has since been decommissioned. Looking across the bay between Ponta Delgada and São Roque towards the Serra Água de Pau. The Rosto do Cão headland is in the middle distance. Looking down the Rua Manuel Inácio Correia, one of the city’s many lovely medieval streets. The Praça do Município with the Câmara Municipal (municipal offices). Rua da Cruz and a typical little coffee shop. The Igreja de São José on the Campo de São Francisco, Ponta Delgada. Fishing boats in the harbour of Ponta Delgada. Many of the old houses in this city date back to the early 16th century, and even in their decays are still beautiful. Rosto do Cão (face of the dog) seen from a bit closer. Looking across Ponta Delgada harbour, with the Centro Sol Mar shopping centre and apartments on the left and the Hotel Açores Atlantico on the right. Facade of the church of São Roque. The little bay in front of the São Roque church. Beautiful tile work, called azulejos, is typical of Portuguese buildings, even modest houses. A narrow little street in São Roque, a poor parish on the outskirts of the city of Ponta Delgada. A view across São Roque. Looking towards Ponta Delgada and one of the hundreds of cruise ships that call here every year. The hills above Ponta Delgada. 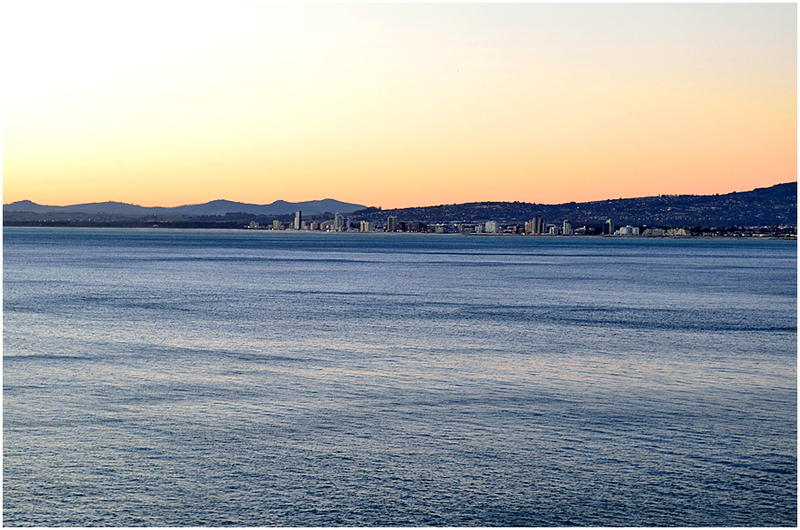 The next land from this viewpoint is Antarctica! Close view of the Rosto do Cão. I could not resist capturing this image! 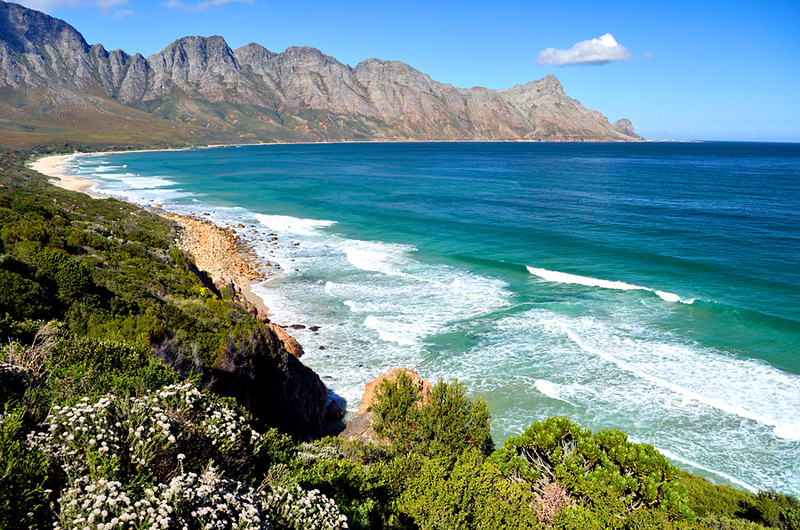 Between the Strand and Onrus, about 80km away, the Faure Marine Drive or R44 takes one through lovely seaside towns like Gordons Bay, Rooi Els, Bettys Bay, Kleinmond and Fisherhaven. The R44 runs into the R43 near Botriver, and that in turn runs past Fisherhaven on the Botriver Vlei, Hawston and Vermont to Onrus. 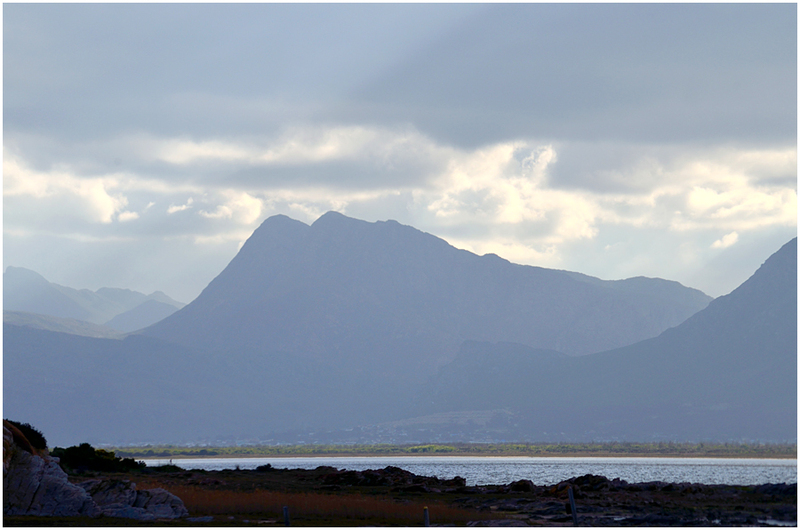 The images in this blog come from our drive along this route to Onrus and back in 2014. 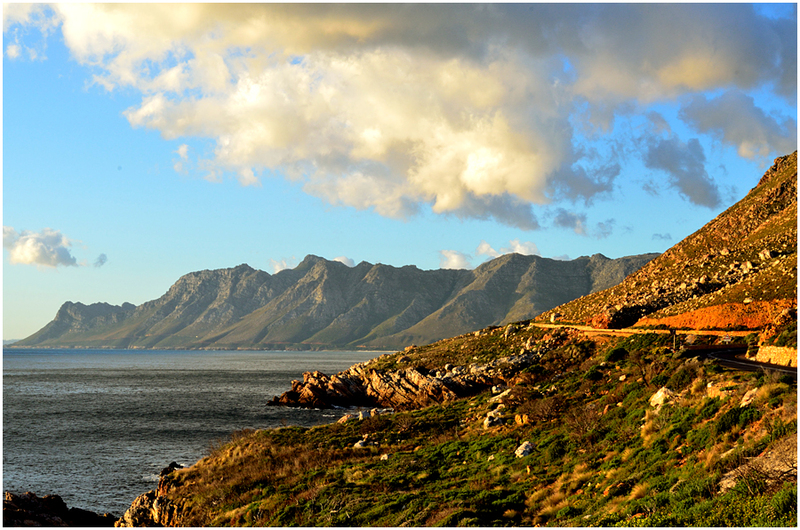 The view northwest from the R44 just outside Gordons Bay. The Strand is off camera to the left. In the distance lie the Hottentots-Holland Mountains. 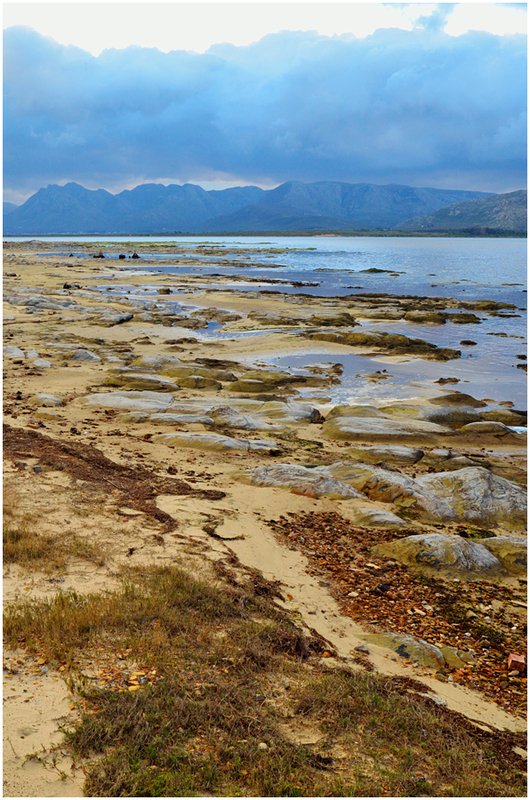 Looking southwest across False Bay towards the Swartkop Mountains on the peninsula leading to Cape Point. 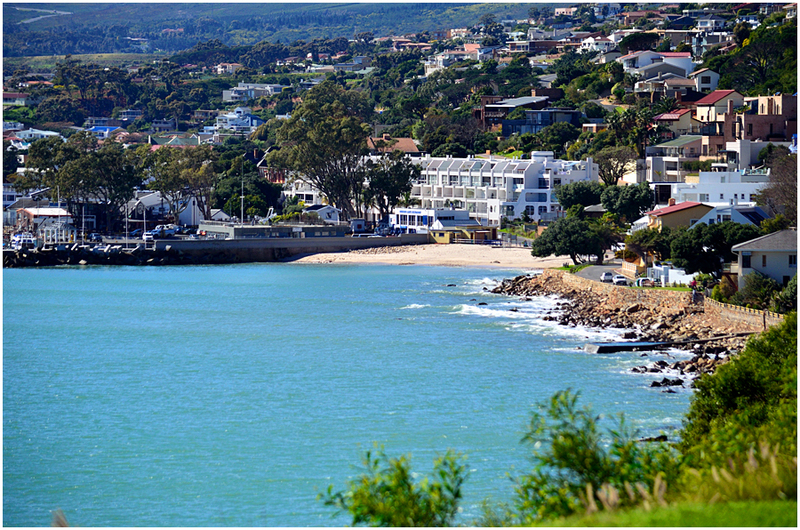 Part of Gordons Bay, with Bikini Beach closest to the camera and the harbour on the left. 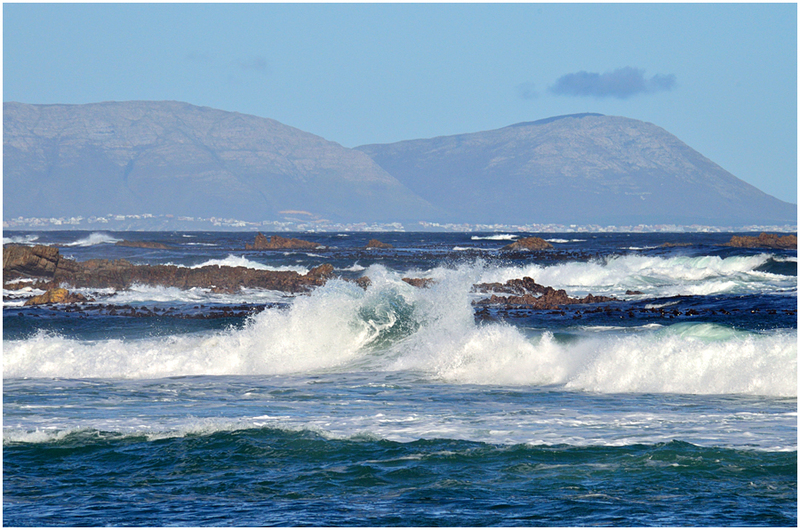 Kogelbaai, looking towards Cape Hangklip. 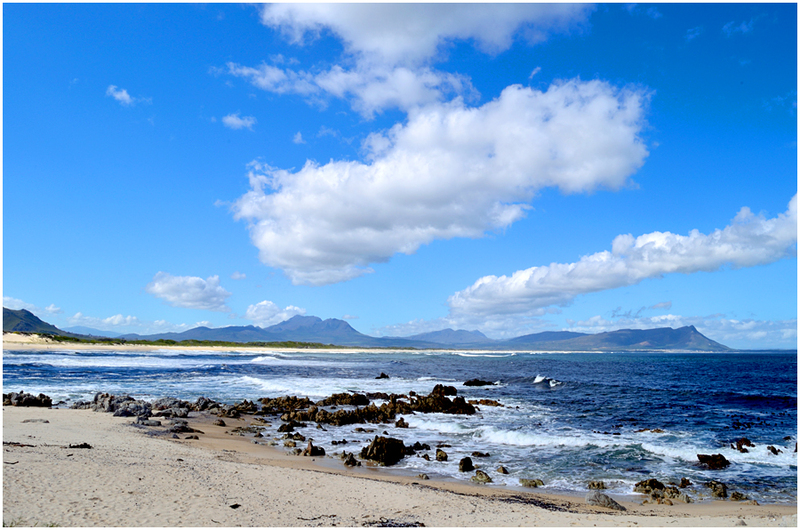 Kleinmond beach: the view across towards the Hermanus, with the Babilonstoring, Kleinrivier and Franskraal mountains on the horizon. 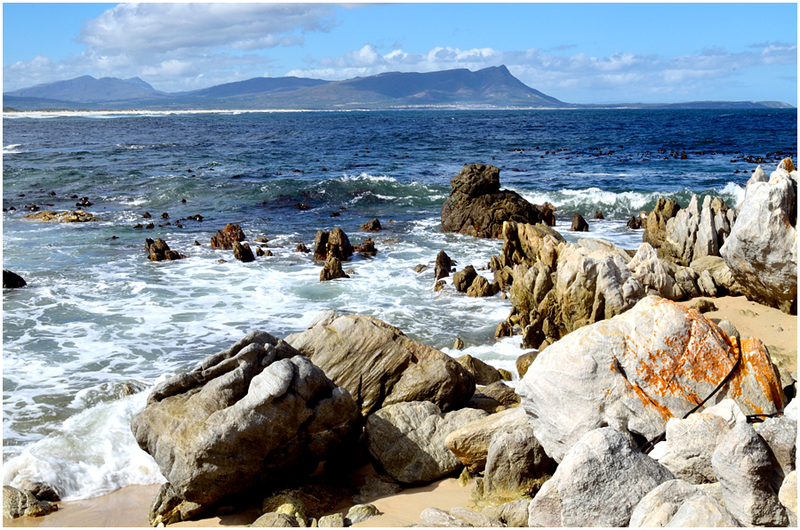 Another view of the Kleinmond seafront. 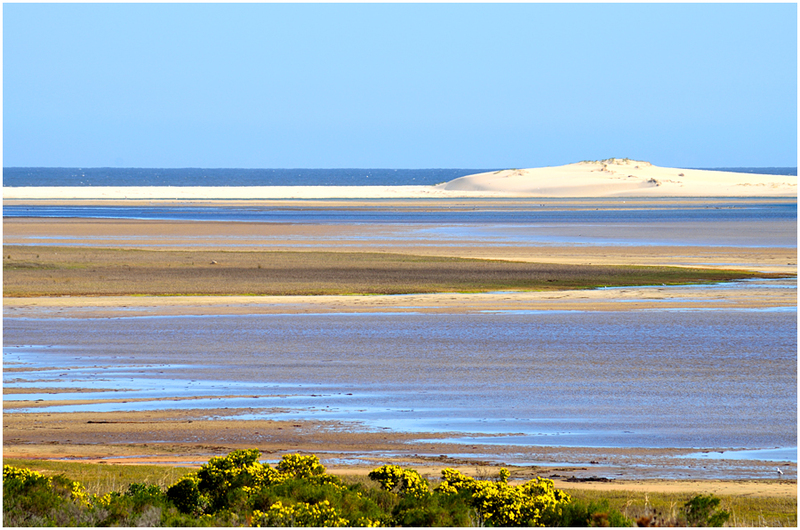 Botriver Vlei is an estuary lagoon in the Bot River. Here we are looking northeast towards the village of Botrivier. 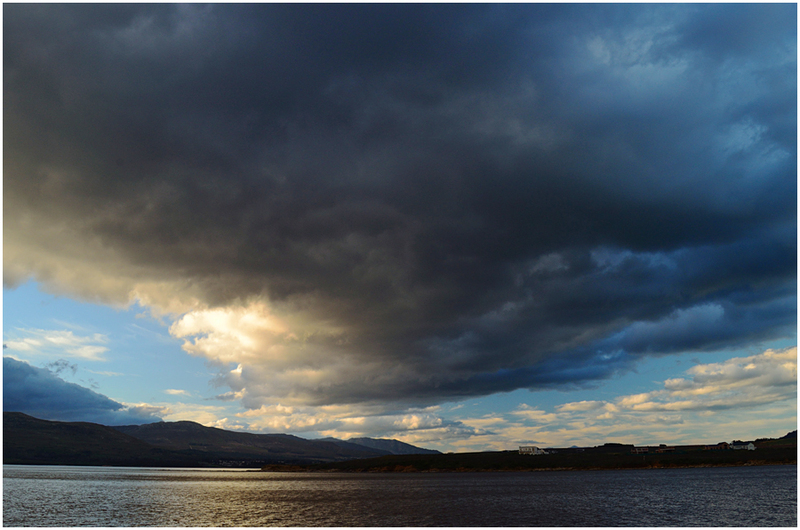 A moody sky over the Palmiet mountains. 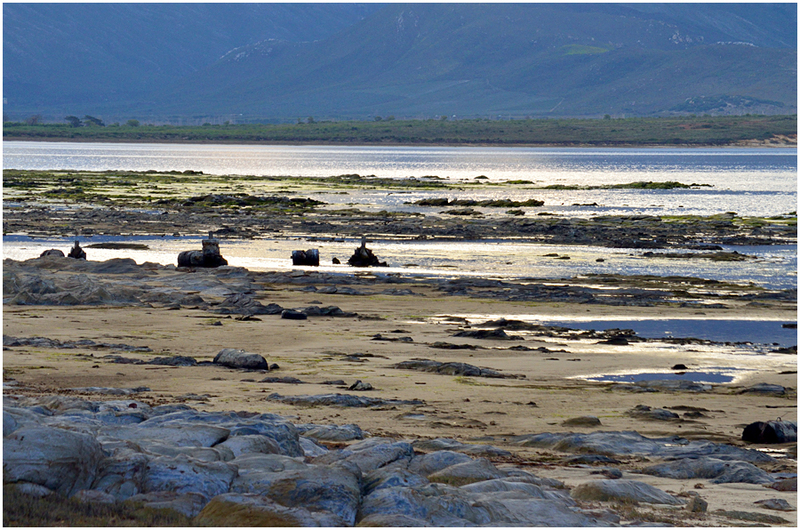 Late afternoon sun on the Botriver Vlei. 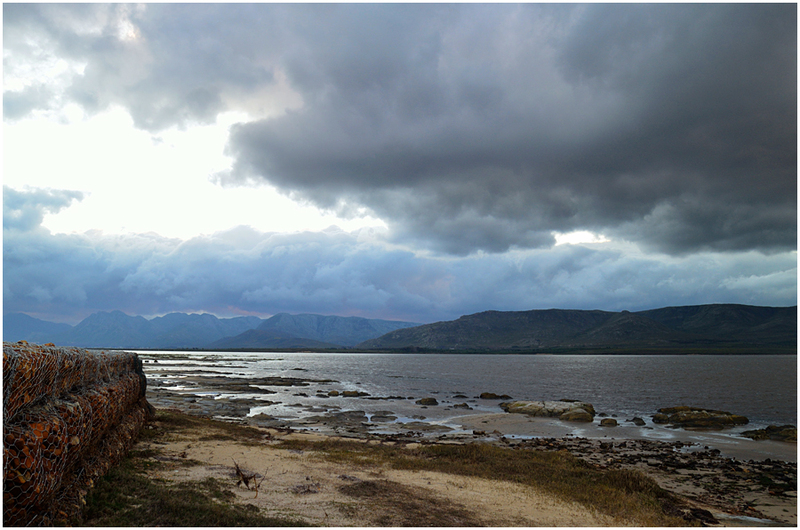 Dramatic scenery is common on the Vlei at this time of the year (late winter). I love winter in the Cape. 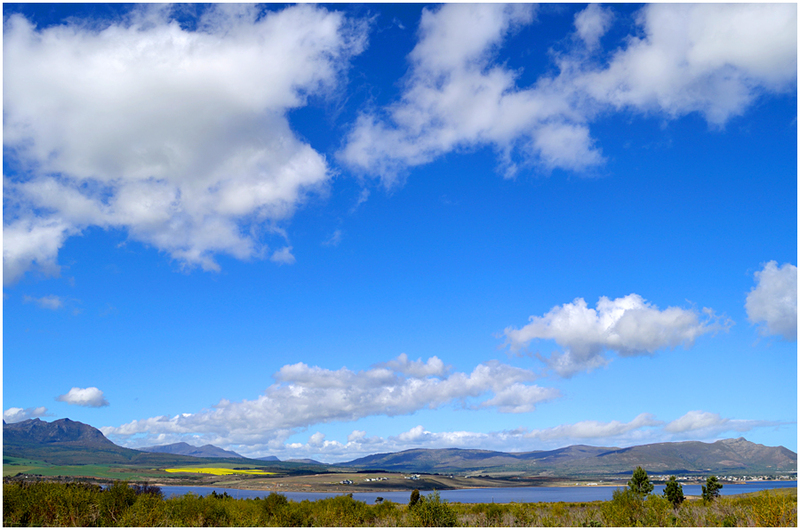 Looking across the Vlei towards the Atlantic Ocean. 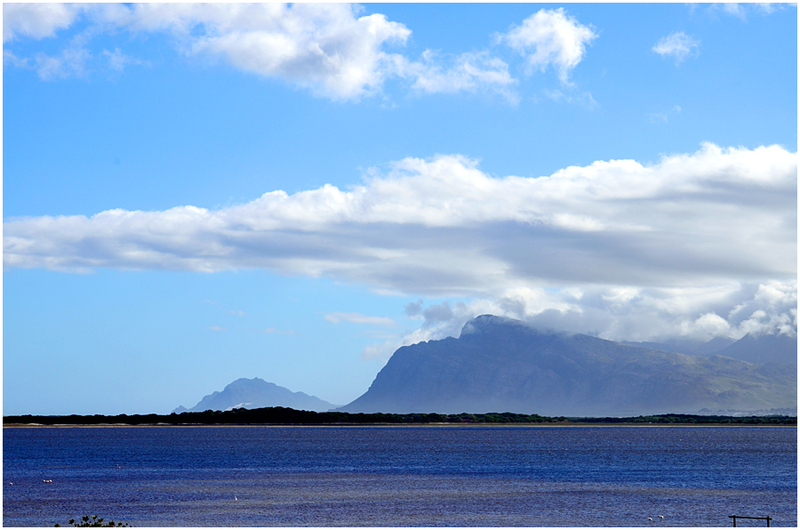 The peaks of the Palmiet mountains above Kleinmond. 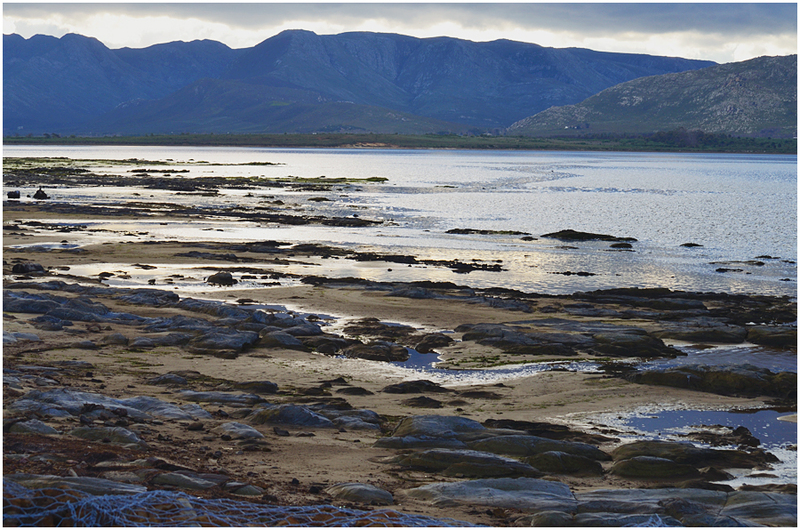 The beach, Onrus, looking across Walker Bay towards Gansbaai and the Franskraal Mountain. En route back to the Strand. 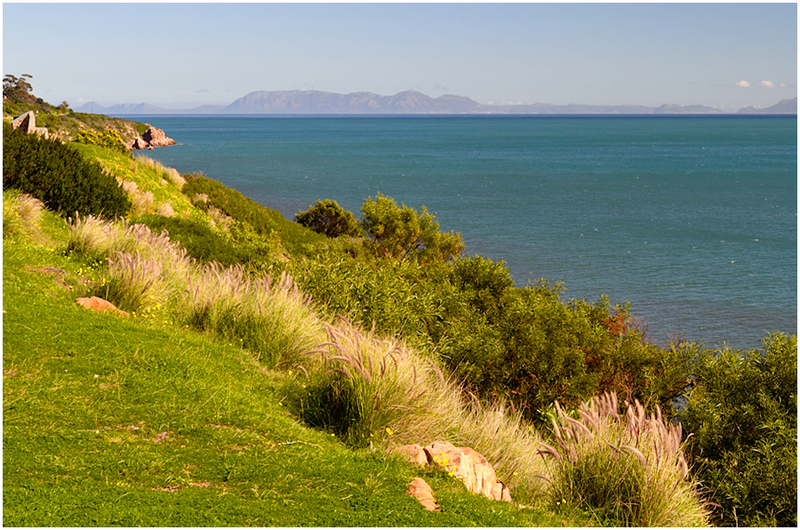 Cape Hangklip on the horizon. 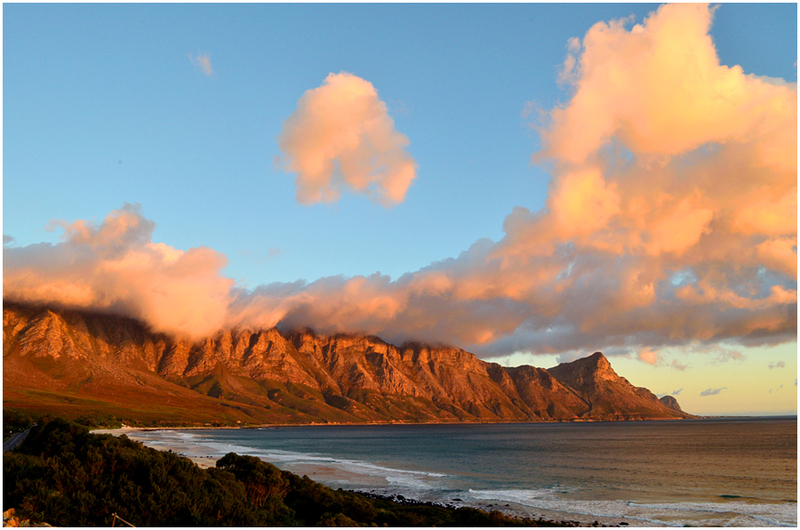 Sunset drive along the Faure Marine Drive with the Blousteen and Kogelberg mountains towering over False Bay. 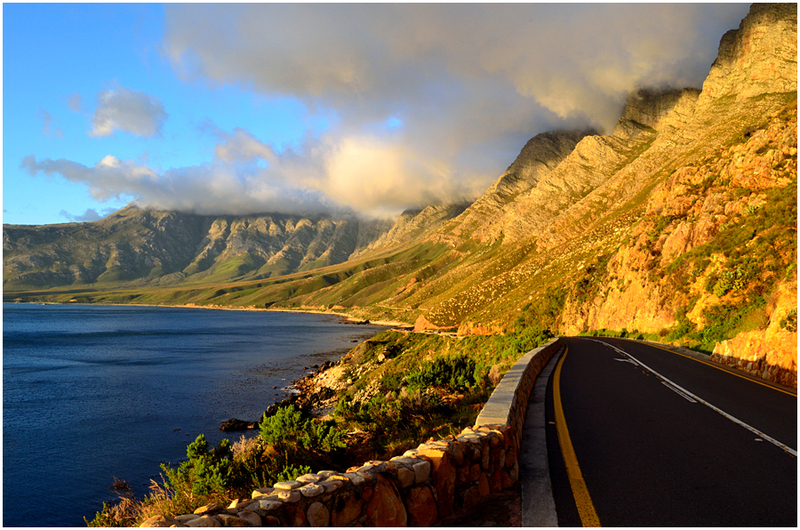 Another view of this stunningly scenic drive, matched only by Chapmans Peak Drive for beauty. Late sun paints the mountains. 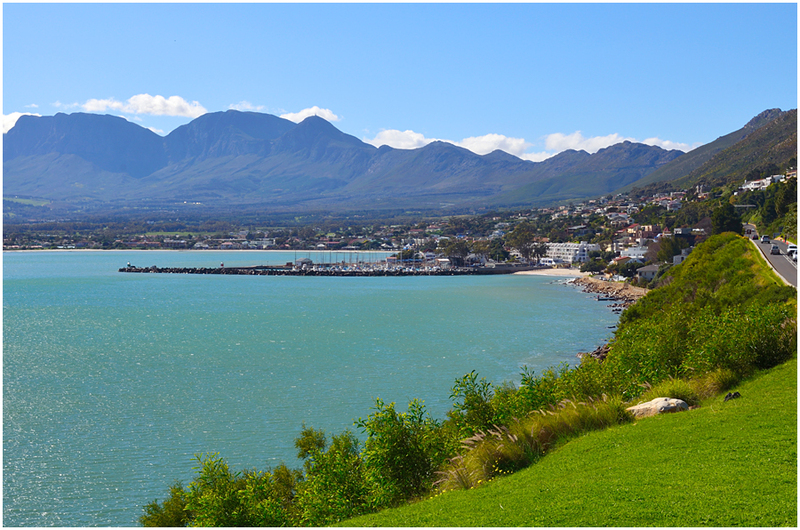 Looking across False Bay towards the Strand from Gordons Bay. 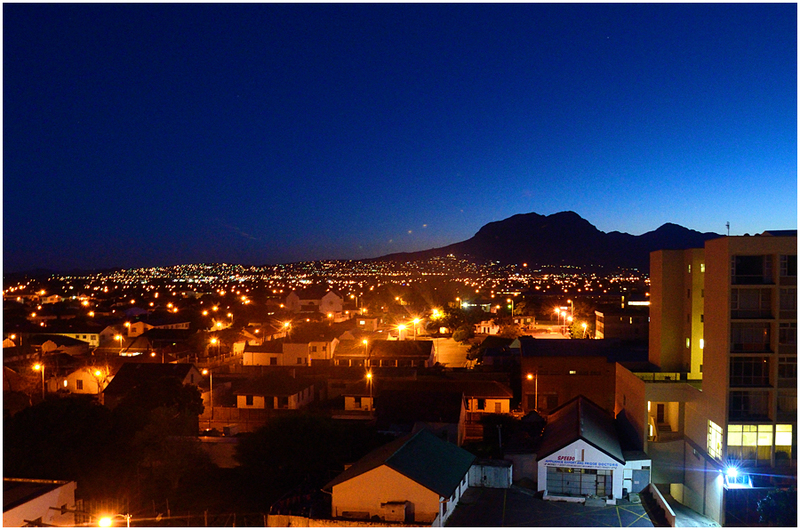 Back in our holiday apartment and the night view across the Strand towards Somerset West and the Helderberg Mountain beyond.